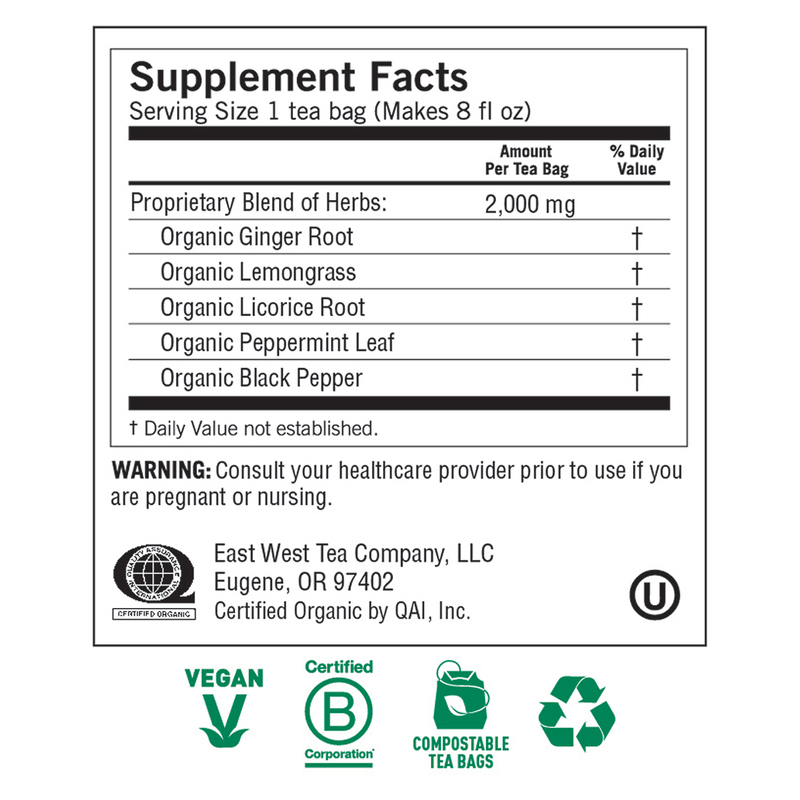 Certified Organic by QAI, Inc. In Ayurveda, naturally warming Ginger has been traditionally used to support healthy digestion and activate the body's internal energy. 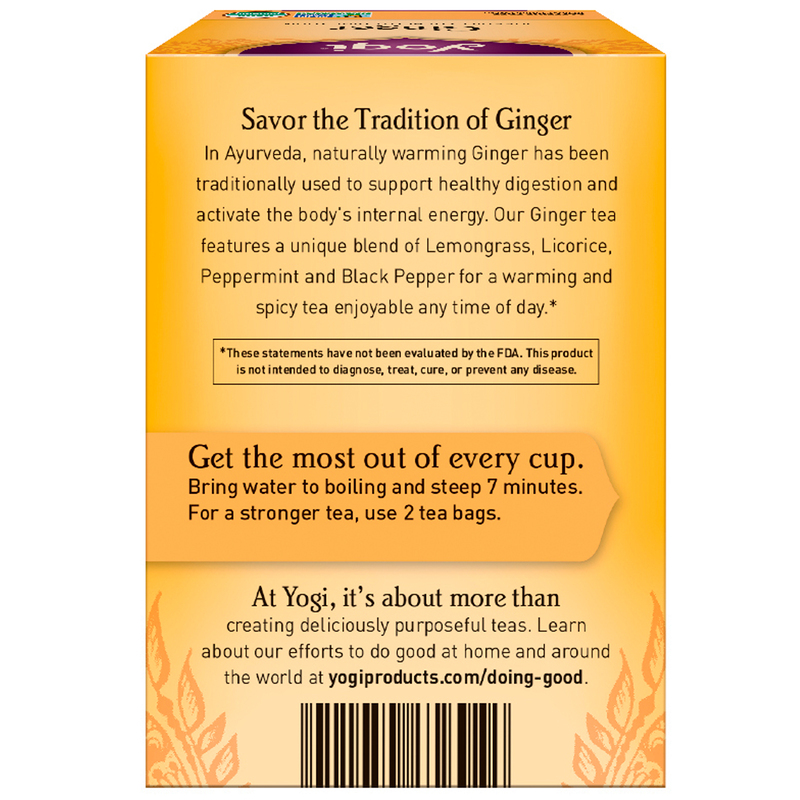 Our Ginger tea features a unique blend of Lemongrass, Licorice, Peppermint and Black Pepper for a warming and spicy tea enjoyable any time of day. Our story began in 1969 when Yogi Bhajan, an inspirational teacher of holistic living, started teaching yoga in the West. 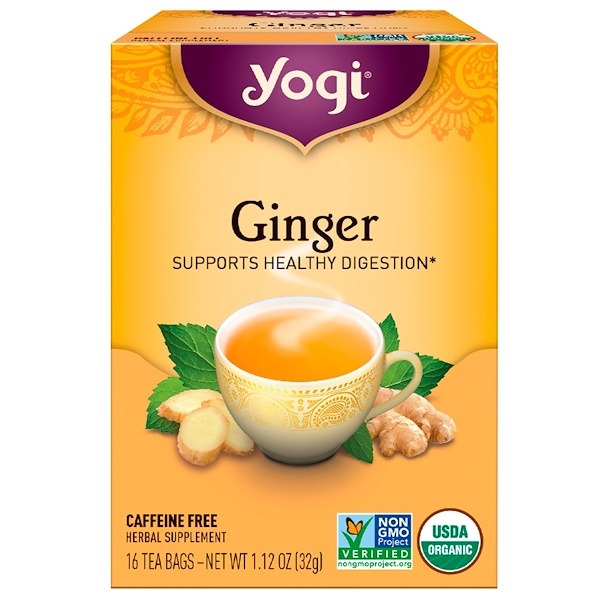 While sharing his wisdom and knowledge of herbs and healthy living, he would serve his students an aromatic spiced tea they affectionately named "Yogi Tea". Bring water to boiling and steep 7 minutes. For stronger tea, use 2 tea bags. Consult your healthcare provider prior to use if you are pregnant or nursing.